Drive an Italian Car, Get Free Italian Food for Boston Restaurant Week! I heard this promotion last night on the radio, and thought it was really cool! Head to Central Fiat of Norwood from now til August 31st to test drive a Fiat. 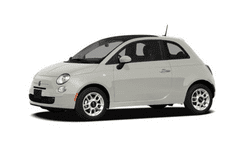 Bring a promotional postcard (details in link below) with you to receive a gift card for a FREE ITALIAN DINNER once you test drive one of these cute Italian cars! It looks like the participating restaurants are Terramia Ristorante, Antico Forno, & Taranta! (Davio’s in Foxboro may also be participating, but I’m not certain). For more information, please visit here and terms can be found here.